Do you ever have a great idea? I know you all have ideas. You have new ideas in your head. You’ve got ideas that have been around for awhile. You even have ideas that go back a decade. However, here’s the bottom line: what are you doing with those ideas? Are you seeing any movement? Have you seen any traction? Or have you even started? I understand getting a vision or idea for something like writing a book, starting a podcast, sparking up a ministry, adding on to your house, or finally saving back some money. Maybe you want to purchase something; maybe you’ve always wanted to quit your job, and pursue your passion; maybe you want to go back to school. What is it that you have been wanting to do? What I have found is that you just need to start. You just need to start. A lot of times the most difficult step is that first step. “I want to do this. I want to do it so bad.” If you could just take that first step, step number two, three, four, and five would get easier and easier and easier. I talk to you a bunch about eating the frog first. Mark Twain said that if you start your day by eating a frog, nothing worse will happen to you the rest of the day. Here is the frog I want you to eat; what is it that you have been wanting to do? Don’t stop there; that’s the easy part. Here’s the frog: what is one thing I can do to get started? It’s that first step that’s the hardest, but it’s the first step that is so liberating. I think back over my life of things that I have wanted to do. I would be lying to you if I said I did them all or if I always took that first crucial step. Many of the great things I have done in my life or the great things that have happened in our ministry that God has blessed, it’s always started with that first step. However, to obtain that, you have to grow in your confidence. You have to chose that you are going to do it, and you won’t fear failure. You’re not going to fear the opinions of others that don’t really matter. You’re not going to fear “what if I don’t get it exactly right,” or “what if it’s not exactly perfect?” You are going to bag that fear, bag that uncertainty and those insecurities, and you are just going to take those steps. Some of you have done that, and you can testify. I can almost see and hear some of you right now saying, “you’re exactly right,” because you have already taken that first step. Since you have taken that first step, you’ve learned that steps two, three, four, and five are then a lot easier. Some of you then think, why didn’t I start earlier? Now is the time to start. When you are fresh into a new year, that’s the time to take the first step. Now’s the time to get that microphone out, find that ink pen, get that keyboard out, have that meeting, talk to that person, to build that plan, and to make it happen. Be action-oriented. Don’t sit back one night and wonder “what if?” Don’t go to your grave with too many “I wish I would have done that.” Are you going to fail along the way? Yes. Are you going to mess up along the way? Yes. Will things not go the way I planned them to go? Yes. You are going to learn in the process, and you are going to become a better person. 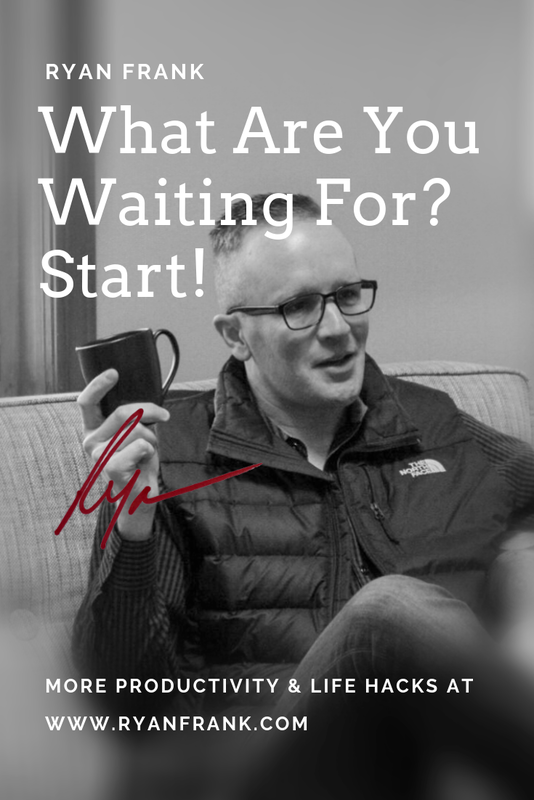 Are you ready to take some first steps? Stop listening. Stop watching. Think about what you have been wanting to do. Think about one big thing you can start doing to make it happen. Let’s all commit to doing it right now. Take step one.